Despite the proliferation of mobile devices, the odds are that you are reading this Blog sitting down. Total time sitting: 13 hrs 45 mins. Even accounting for his admirable energetic start, Paul’s daily routine has become more of a movement hibernation – and many Australians could tell similar stories. According to the Australian Bureau of Statistics, the proportion of Australian adults reporting sedentary levels of physical activity rose from 34% to 41% between 2004 and 2012 – and in all likelihood it’s still on the up. This increase in our sedentary hours is frequently attributed to the use of information technology – time spent using desktop computers, watching TV, using mobile devices and playing electronic games. A recent Safework Australia publication outlining the ‘emergent work health and safety issue’ surrounding sedentary behaviour is among those making this connection. People with sitting jobs may increase their risk of cardio-metabolic conditions such as diabetes, metabolic syndromes, weight gain and cardiovascular disease – not to mention the increased compression through the spine from prolonged sitting. An association between sedentary behaviour and poorer mental health is also evident. Nutrition may also suffer as a result of excessive sitting, with one recent UK study revealing that the commute to work could be the reason for a weekly increase of 767 calories per week – for the mathematicians among us, that amounts to 36,816 calories over a 48-week working year. There are many more numbers to suggest we’re making less time for structured exercise in our daily routines: 56% of Australians fail to meet recommended physical activity requirements; and the proportion of Australians classified as obese or overweight has risen to a staggering 63%. With obesity being the second highest contributor to the burden of disease, it may well be true that our sedentary behaviour is actually killing us. Smoking sits in third place on that list. It’s a public health issue with a long history of change – only in recent years has the practice been outlawed in pubs, clubs and planes (in most circumstances). The dangers associated with smoking are well documented – to the point where smoking taxes are continually on the up. But a lack of physical movement now appears to be on the same page, or even worse than smoking. The time has come, it would seem, for a new campaign: Quit sitting. 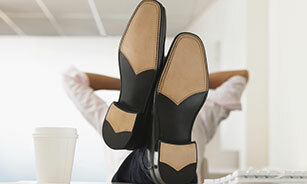 Take time to stand and break the monotony by taking a two-minute active break every 20 minutes. Regular interruptions from sitting (even by briefly standing), can help to reduce the risk of heart disease and diabetes. This will not only kick-start your metabolism but can also refresh the mind and lead to greater brain power! Take advantage of our Live Life, Sit Less, Move More flyer. 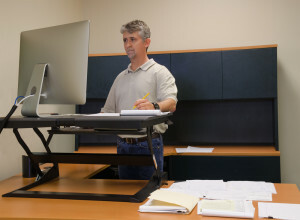 Standing workstations are trendy new additions to many office environments – an item that may well pay itself off in the long run. Even short stints of standing can be beneficial. Check out these guidelines for the selection of sit to stand stations. Good nutrition is key to calorie balance, especially when energy output is low from sitting. Find out where the local health hangouts are and promote regular healthy lunches within your workplace. Refer to our Fuel Right, Function Better flyer for further advice. Conduct walking meetings: Take the conversation outside! Walking meetings promote creative thinking, and are a great way to boost morale and help staff feel more connected to the organisation. Set up a walking group: Nominate a group leader and send out a meeting request for a regular daily or weekly walk. Stretch: Set up a basic stretching routine to help loosen the muscles – and most importantly break the mould of sitting. While flexible working arrangements won’t necessarily eliminate sitting, they may help to cut down commute time, or assist in dodging the morning rush. In comparison to using a car, public transport will encourage walking to and from the bus stop or train station. Do you agree that sedentary behaviour is increasing in your workplace? And can you add to our list of measures to address the problem? Please leave your comments below. Ai Group in South Australia is facilitating a ‘Healthy Workers Healthy Futures‘ initiative targeted at businesses in the manufacturing sector. Access resources on our website, or contact us for more information. 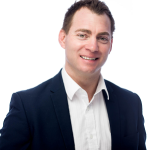 Peter is the Healthy Worker Adviser for Ai Group, and assists businesses in creating healthy and higher performing workplaces. Peter has most recently managed a wellbeing program targeted at the Manufacturing sector in SA. Peter has also worked in the fields of health, wellbeing and safety for large mine site environments as well as the heavy construction materials industry. This article is really informative and it has give us some ideas about how we can restructure the time we spend during the day – especially in lengthy meetings. We invested in two stand up desks and it has made a huge difference to the energy and morale in the office, not to mention that instead of getting up and going shopping in the mall to get a break from sitting down, I now don’t feel the urge to get out of the office so often. The Safework Australia article has some really interesting research in there, I’ve got some ideas for and thoughts I can share with friends and colleagues. Hi Tim, thanks for your response – we are glad that this article has influenced your thinking in regards to how you approach health and wellbeing in your workplace. Well done! Nice article Pete. We dont realise how much we sit around until you itemise it. Hopefully it will help us all be more mindfull to move a little more during the day. Gender pay gaps: What are they? And why must businesses eliminate them? Top 5 mistakes businesses make with manual handling: Are you really reducing the risk of injury?